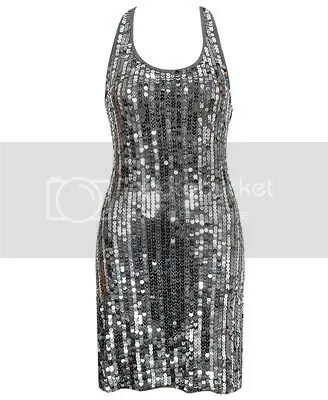 What’s your New Year’s Dress-olution? Mine is to find an amazing corset dress to complement my fab fashion find from work, a fur coat from House of Dereon (it’s time like these when I just love my job…sigh). If you’re in the same boat as me, and are searching high and low for a show-stopping dress, look no further! In the spirit of the holidays, we’ve hit the malls and the web to find the outfits that look like a million bucks and cost as little as possible. Here are the glamazons’ frugal and fierce picks—all from your local retail stores and fave websites. No need to thank us—consider it our holiday gift to you! NYE is the one night of the year where you can be unapologetically glamorous, festive and over-the-top. This season’s fashion statements—jewels, metallics, sequins, bold accessories, electric hues and ruffles—are the perfect party companions. For ladies with demure, sophisticated style, bejeweled necklines are the only way to shine. They’re festive without being flashy, glamorous without being gawdy. Better still, the jewel embellishments act like a built-in necklace. 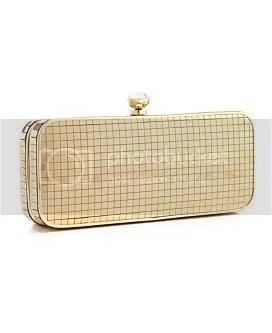 Add a bracelet and pretty clutch and you’ve got a look that radiates femininity. Bebe dress, $159, Bebe stores. 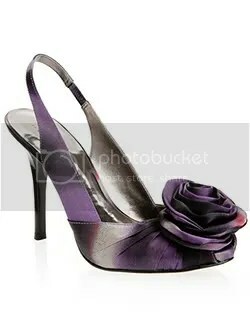 Marciano sandals, $290, Guess stores. 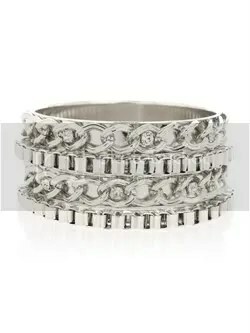 Marciano cuff, $88, Guess stores. Jessica McClintock dress, $173, jessicamcclintock.com. 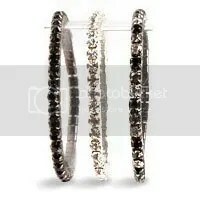 Claire’s bracelets, $10, Claire’s stores. Martinez Volero sandals, $70, DSW stores. 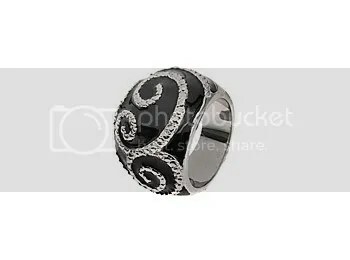 Aldo ring, $10, Aldo stores. As Hollywood’s young luminaries have proved, metallic threads add a shimmery glow to every complexion. There are a million ways to dazzle: go short and fitted with a lame dress or draped and Grecian with an elegant, one-shoulder stunner. Pour on the glam and glitz but remember: the dress should be the center of attention. Accessories shouldn’t compete for the spotlight. Pull the look together with a pair of opaque tights and black pumps. 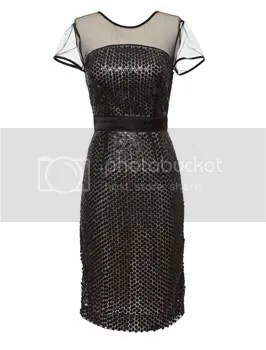 Anne Klein dress, $198, Macy’s stores. Urban Outifitters dress, $98, Urban Outfitters stores. BCBGeneration dress, $138, Macy’s stores. Star light, star bright. Sparkle plenty with a glistening minidress or add a dose of scintillating shine with a tank top. If you want a more understated look, choose a dress with a sunburst of sequins for a touch of subtle glamour. Forever 21 dress, $40, Forever 21 stores. Nine West tights, $14, Nine West stores. 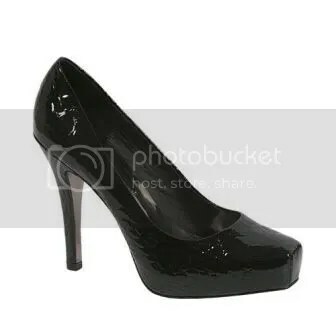 Steve Madden pumps, $130, Steve Madden stores. Express high-waisted skirt, $50, Express stores. Paired with a tucked-in blouse, this skirt is the perfect blend of sophistication and glamour. Sizzle by Coloriffics sandals, $70, DSW stores. 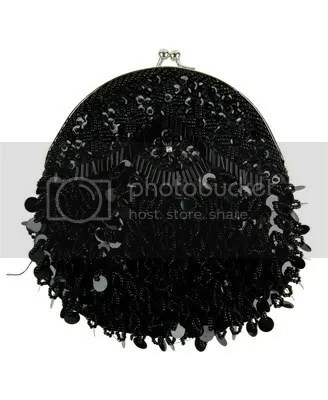 Jessica McClintock clutch, $57, Macy’s stores. French Connection dress, $100, French Connection stores. 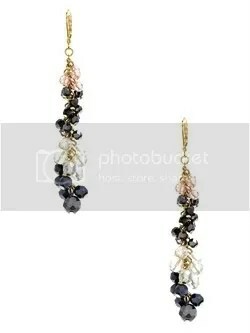 Marciano earrings, $68, Guess stores. 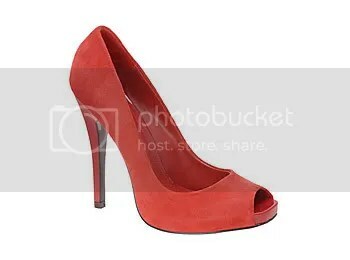 Aldo shoes, $24, Aldo stores. Will the LBD (little black dress) ever die? Beyonce certainly doesn’t think so. The versatile classic is perfect for holiday get-togethers and dressy events alike. This season’s twist? Accessories that add a punchy pop of color from fuschia pumps to rainbow-colored clutches. The beauty’s in the details. White House Black Market dress, $95, White House Black Market stores. 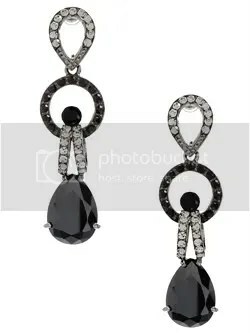 Marciano earrings, $48, Guess stores. Apt 9, $15, Kohl’s stores. Guess sandals, $100, Guess stores. 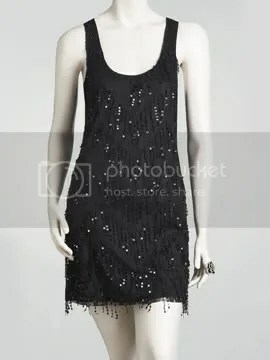 Nothing exudes flirty, carefree sexiness like the roaring ’20’s flapper dress. This look is perfect for hitting the dance floor—you can shimmy it up with every move. (And feel free to eat as many hors d’oeuvres as your heart desires in this forgiving silhouette). Arden B. dress, $88.80, ardenb.com. 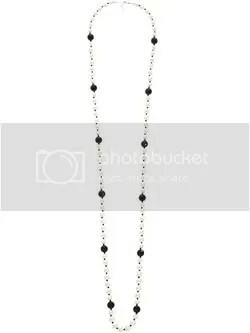 Marciano necklace, $68, Guess stores. 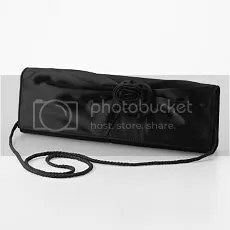 Forever 21 clutch, $13, Forever 21 stores. Electric blue, red, purple and green. Winter’s colors of choice (with purple being a personal favorite) are downright stunning! Slip on a dress/blouse/skirt in one of these boldvhues and voila, instant glamification. Coupled with the beautiful luster of satin fabric, these colors make any look special. Jessica McClintock dress, $138, jessicamcclintock.com. Jessica McClintock dress, $135, jessicamcclintock.com. 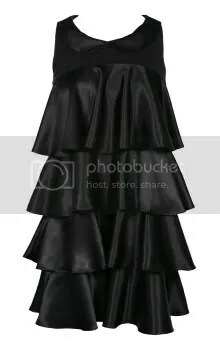 Ruffles are adding ladylike appeal to every look this season, adorning the neckline of the most beautiful blouses or dancing around the hem of the perfect holiday dress. Charlotte Russe dress, $29, Charlotte Russe stores. Urban Outfitters dress, $78, Urban Outfitters stores. 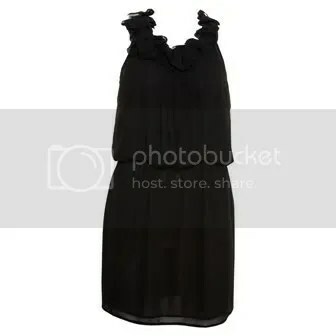 Charlotte Ronson dress, $200, Urban Outfitters stores. Write us at theglamazonsblog@gmail.com or post a comment with any last-minute fashion questions for your NYE look and we’ll be more than happy to help. Here’s to a great New Year’s Eve and an even better 2009!